I am an event organizer at shrines. I love Japanese culture and love to meet young girls wearing kimono. 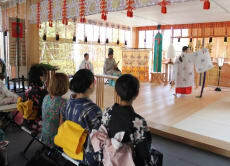 I am looking forward to showing you traditional aspect of japanese culture through shrines,kimono, japanese sake and japanese traditional musical instrument.